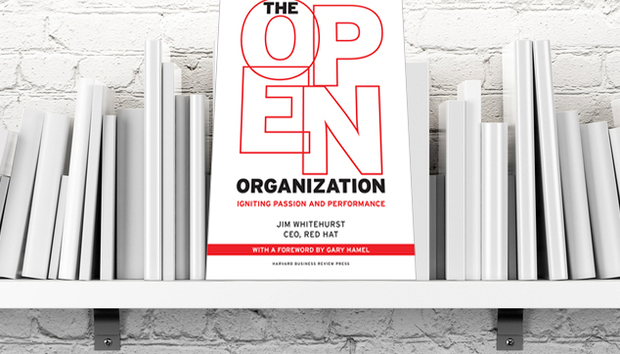 In a new book, The Open Organization, Red Hat CEO Jim Whitehurst describes the open source software pioneer’s unusual culture. At Red Hat, I’ve needed to take my own level of responsiveness to a new level. Now, in addition to answering e-mails and occasionally responding to an important tweet, I hold informal town hall meetings in our offices worldwide to answer associates’ questions. Yes, you can risk being overwhelmed at times, maybe even criticized or taken aback by questions about problems you thought had been solved. In my mind, that’s how progress occurs. Most leaders are wary of receiving lots of complaints. A number of Red Hat execs, especially when wanting to make a significant change, will groan because they know that they will have to confront the inevitable complaints, questions, and so on that come with working through changes. As one senior leader has said to me, “Everyone at Red Hat believes that it’s their God-given right to complain about anything and everything.” And frankly, they’re right. It’s part of what engagement is all about. It’s painful and time consuming to hear a barrage of complaints, but the ultimate result makes it worthwhile. I’m fond of using the “it’s like eating your broccoli” analogy. Going through the process isn’t necessarily the most pleasurable experience, but it’s actually good for you, and you’ll feel better in the end. At Red Hat, we’ve all seen the results of the power of engagement. We all know it works and makes the effort worthwhile. But it can be frustrating. Often, as a leader, you get excited to engage your people in the things you want them to focus on. You set up town halls, chat sessions, and so on, only to find out that your people want to discuss other things—things that you may not think are important or you simply don’t want to spend time on. It’s easy to feel as if those are a waste of time relative to the key issues you’re trying to resolve. However, if these are the issues on people’s minds, you need to address them proactively before they’ll engage on the issues you want them to. It’s a give-and-take, and ultimately you end up with better engagement. The final barrier—and for many leaders, the most significant—is that it’s never fun to admit your own mistakes. A painful experience for many of us, we’d rather avoid it. A study of a thousand leaders and employees conducted by Forum Corporation, a global consulting firm, found that only 19 percent of the employees it surveyed said their bosses were willing to apologize if they made a mistake. Why? The results showed that these conventional-style bosses were afraid of appearing incompetent or weak. Amazingly, 7 percent said they simply “didn’t have to” apologize for making a mistake. I guess that makes sense if you fully buy into the conventional hierarchical organization as the only way to maintain order and get things done. A good example of how I learned to be accountable to my team at Red Hat came in the wake of our acquisition of Qumranet. The decision was a bold step forward for the company into a white-hot sector called “virtualization,” a technical term for describing how you can get a computer to run multiple operating systems at the same time. Buying the company gave us a leadership position in a key strategic area that underlies cloud computing. But while much of its technology was open source, key components had been written in another proprietary language and were anything but open. Our internal tech estimated that it would take about six months to a year to rewrite those pieces of code. That left me in a dilemma. We had just spent more than $100 million to buy a company in a sector that was moving fast, and we would have to wait almost a year before deploying it. After weighing the pros and cons, I decided to go to market with what we had, with the idea that we would work in parallel to rewrite the code. The end result was a giant dud. Not only did our associates hate using the product, they couldn’t support it well because they weren’t familiar with the code. Worse, our customers—who choose us because we are open source—didn’t like it either. It quickly became obvious that I had made a mistake and that we would need to pull back the product and rewrite the code before we released it again. All in all, that mistake added up to about a year-and-a-half delay instead of a six-month one. But I owned it. I admitted to the company and board of directors that I was wrong and then hatched a plan to launch the product in a way that was true to Red Hat. This example shows how essential it is to remain accountable to those affected by your decisions. Of course, there was quite a bit of anger and frustration among Red Hatters who wondered why the company was falling behind in the virtualization market. I realized that our associates deserved to hear the story of why we made the decision as much as the board did. When you don’t explain your decision, people will often assume the worst: that you’re detached, are dumb, or don’t care. But when I explained the rationale—that my management team and I had, in fact, put a lot of thought into it—people finally understood. Red Hat associates appreciated that I owned my mistake; I earned their trust by explaining my decision—which also makes you a stronger leader. If you want to have engaged employees, in other words, you need to explain your decisions. Being accountable to your employees is so much more than simply apologizing for your mistakes; it’s about sharing the rationale for why you made any significant decision if the members of your organization weren’t directly involved in making it. As a leader, your responsibility is to create the context, framing, and explanation for why you chose a particular path. That means you’ll be explaining yourself a lot, which can be really hard. Many CEOs complain about all the different “bosses” they have—from board members to analysts on Wall Street. You potentially have thousands of bosses in the guise of your associates and community members. Being accountable to all those folks is time consuming and emotionally draining. But when you do it, the payoff is enormous. Generally, there has been an increase in the acceptance and importance of the notion of “corporate responsibility,” where com­panies have become accountable to more than just their sharehold­ers and the bottom line. For instance, companies have become more involved with the communities they work in—either literally, as in a town, city, or the environment, or virtually, as in the case of the Linux community. To do this, leaders have had to adjust their mind-set about who and what they are accountable for. To do this well, and at the scale we have at Red Hat, you’ll need to work hard on how you communicate.